Lead-free Amaco Velvets are semi-translucent underglazes which have the appearance of velvet when left unglazed. Velvets will become opaque after three coats. 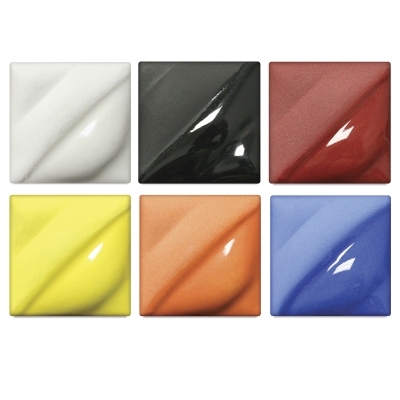 When glazed with transparent matte glaze they will assume a soft, satin finish. Includes six 16 oz jars, one each of Yellow, Medium Blue, White, Jet Black, Red, and Real Orange.